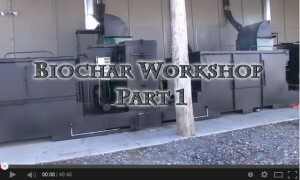 This biochar workshop delves deep into the many aspects of biochar production and application. Part 1 focuses on practical production techniques using ‘drum within drum’ retort. There may be some advantages for this over the TLUD system (ie, reduced supervision). Part 2 and 3 are classroom based with Q&A. 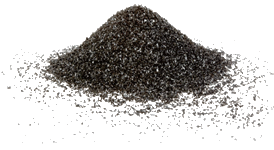 Bob Wells (New England Biochar) describes his 4-part philosophy for biochar production: 1 – make the best possible biochar; 2 – use the residual energy efficiently; 3 – eliminate emissions; 4 – make the project profitable. John Nilsson (soil scientist) talks about history of biochar and its applications. Part 4 takes a look at the triple Adam Retort system, installed by New England Biochar, that is the center piece for the site where the workshop is conducted. Good primer in Biochar for newbies and a good refresher for makers about why we do things the way we do. I use a TLUD which does a good job as far as they go, but is susceptible to the wind pushing the burn to one side and dependent on a good supply of dry chip. Being able to use unchipped sources like branches in a retort would be great. The limiting factor for me is the difficulty in sourcing suitable retort drums. He talks about “just” putting a 30 gallon drum inside the 55. WE have any number of 55’s, but getting the 30’s is proving harder than I could wish. Any thoughts on where we can find some? Another option is to use the 200L drum as the retort and build the furnace around it. This can be done with bricks, blocks or steel… plenty of examples of this on the web. The problem of efficient energy use just gets bigger tho. Condensing smoke in long pipes before routing back to furnace could be an option. Also examples of this. You could use the condenser pipe to dry wood as well? Part One starts with a good farm scale retort – all the way through to part 5 with results. There’s a lot of great information packed into these videos. Bob Wells, Jon Nilsson and Patryk Battle did a great job.